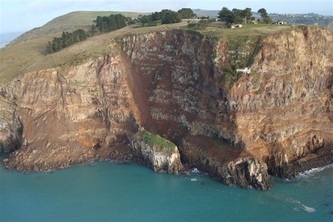 In 1849 Captain Thomas, having inspected Lyttelton Harbour for its suitability as a port for the Canterbury Settlement, included in his report that Godley Head would be an ideal site for a light house. Ten years later the Provincial Council voted funds for its construction. 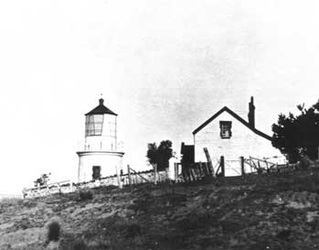 A lighthouse, constructed with locally quarried stone, and a keepers cottage were completed in 1865. 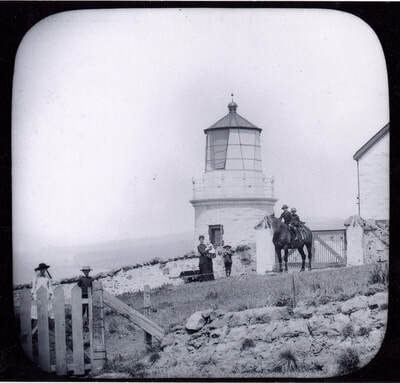 In 1876, 60 hectares of the reserve was re-gazetted as a lighthouse reserve under the new name of R.2055. 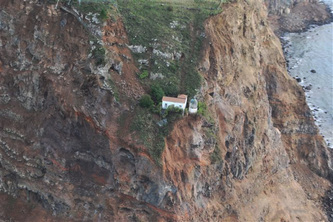 The lighthouse was located 10 metres back from the tip of the headland at an elevation of 129 metres above sea level. The structure consisted of a stone tower 9 metres high, topped with a fixed doptric white light, of the second order, restricted by blacking to illuminate an arc of 200°. The light was visible for 54 kilometres in clear conditions. It was powered by fuel oil and transmitted by the usual mirrors and glasses. The keepers cottage was located a few metres to the rear of the light. 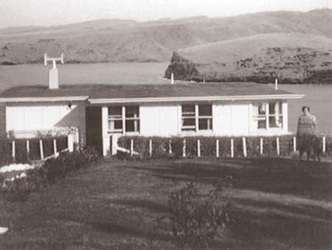 The buildings were erected by a Mr McCosker and the optical apparatus was fixed by Mr Rollin who was sent from England especially for the purpose. The total cost was £4,706. The annual cost of operation was £340 in 1907 however, the light dues collected that year amounted to £3,082. Access to the light was initially by way of a pack track from Evans Pass. The slowness of travel and the steepness of Evans Pass made this route impractical. 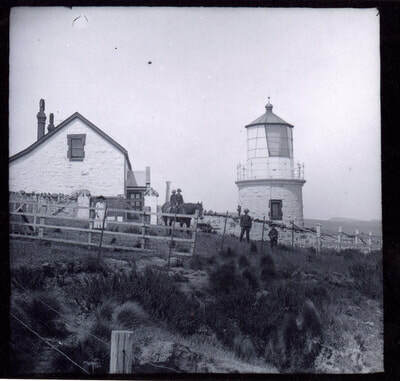 This resulted in the lighthouse being supplied till the 1920’s by the government steamer which offloaded supplies to a small jetty in Mechanics Bay. From 1928 improvements in the roading and transport enabled the supplies to be trucked in. In 1938, with war looming it was decided to build a coastal defence counter bombardment battery at Godley Head. As the lighthouse and keepers cottage conflicted with the sighting of the guns, creating a dead water lane out to 16,000 metres, it was decided to relocate both. It was not until 1940 that moneys were allocated for the work and late 1942 before it was undertaken. 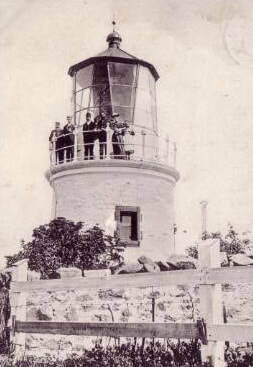 The light mechanism was moved down the cliff face and mounted on a new tower. 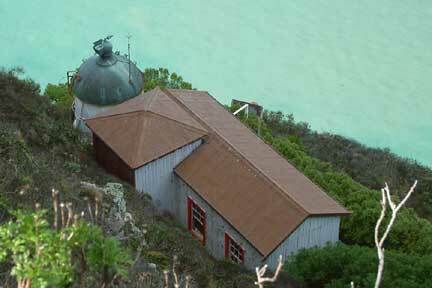 The new keeper's house was built inland 100 metres to the west, behind the battery. An assistant keeper's house was constructed 60 metres west of the battery. The light was connected to mains electricity in 1946 and was automated in 1976. It has its own emergency diesel generator. The light remains fully operational today, even though it has been undermined by earthquakes. 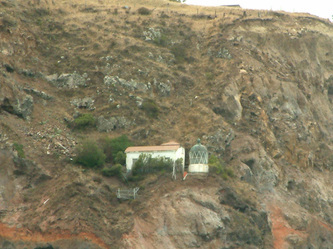 The light is under the control of Lyttelton Harbour Board.